The recent nod from Estonia is a major landmark for this digital currency service provider. It is completely true that the attributes mentioned in the title are essential for any company, whether it involves the artificial intelligence or even if it is a physical company, these features can be considered its major assets. And it is because of these elements of Ibinex that it has come much farther than its contemporaries in this arbitrary field of crypto currency. 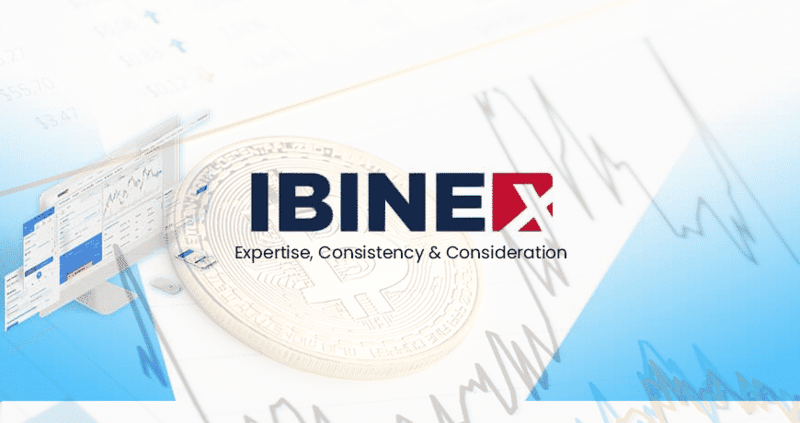 The first indication of the same was found when Ibinex became one of the first crypto currency service providers to gain certification from FinaCom, that is, The Financial Commission. However, the certification from the FinaCom is only the beginning for Ibinex. According to the recent news, Ibinex has gained another laurel and that is the license from Estonia. This news was put on the official website of Ibinex a few days back with the CEO of Ibinex stating that there is a lot excitement in the company regarding this new opportunity in the market of crypto currency and there is a chance that this might be the first among many licenses which will eventually be provided to Ibinex. Ibinex was established in the year 2014, by Simon Grunfeld, who had worked with Forex brokers before establishing this company four years back. There are two major functions that Ibinex has been carrying out in the crypto currency markets; this involves providing liquidity to those consumers who want to establish their own exchange and assistance with the launching of ICOs. However, the work of Ibinex does not stop at that, Ibinex sees to it that there is a system that has been established for the smooth running of the operation undertaken by the start up with the help of Ibinex. These services include not only the provision of liquidity but also the provision of the means to find a consumer base, as well as sorting out the banking solution. Ibinex also takes care of the provision of wallets for the exchange which can then be utilized by the clients. These custodial services, provision of ICO currencies along with a number of other kinds of coins as well as banking solutions are made available to the white labels. Ibinex is one of the few companies which have chosen to cater to the needs of a number of the white labels in the market. With the license from Estonia, a world of possibilities has opened up for Ibinex and companies like Ibinex. This also stands to evidence the quality of services delivered by Ibinex in this time of four years and it is also an indication of the reduced anxiety in the Baltic States towards the field of crypto currency. Needless to mention, Ibinex can now set its eyes on a new horizon while functioning under a different kind of laws and a set of different dynamics which will lead to a set of changes, however, Ibinex has, over a definite period of time, proved that it is efficient enough to carry out any task required of it with a remarkable acumen of market awareness and with the dynamism of someone who has been in the field for a long time now.